Introducing the latest in non-laser skin resurfacing! The Hydrafacial™ is the #1 ranked, non-laser skin resurfacing treatment in the U.S. and is now available at Signatures Salon & Day Spa . . . schedule yours today! Now you can have the dream brows you always wanted ♥ instantly creates big, beautiful, plush eyebrows that last up to 2 years. ☼ Our Beach is Open! 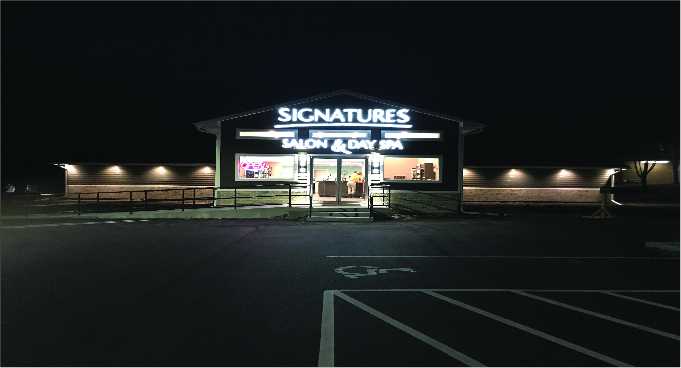 Signatures Salon & Day Spa is a comfortably upscale salon/spa. Our atmosphere is a wonderful blend of professionalism and relaxation. If this is your first visit to Signatures Salon & Day Spa, you will find our entire team to be friendly, knowledgeable, and highly-skilled. Whether your looking for a great new style, gorgeous highlights, or a pampering day at the spa . . . we guarantee you will love your time with us.